The PPW since its inception 30 years ago played a pivotal role in providing help and support to underprivileged members of the Pakistani expatriate community in various social welfare programmes like providing school fees, health support, medical bills, house rents, food packages etc. to the needy. One of PPW’s main achievements and key initiative since its inception has been in the field of education. Through its Education Support Programme launched in 2000 PPW has helped a large number of students to pursue their education and to date around 1987 students have been provided financial assistance for their tuitions as well as other grants worth Dh 10.40 million has been distributed to schools in Sharjah, Fujeirah, Al Ain, Abu Dhabi & Dubai. All these funds were generated by PPW members as well as distinguished Pakistani residents living in the UAE as part of their community support initiative. In the current 2016 – 2017 session around 50 students are being paid their school tuition fees. As part of the Education Support Programme, PPW annually awards gold medals to the outstanding Pakistani students who excel in their intermediate board exams. PPW also encourages the students to participate in extracurricular activities and arranged an oratory competition in which girl students from seven Pakistani schools spoke on the topic, “Maen Bhee Malalh Hoon” in which young orators highlighted Malala’s endeavor in promoting girl’s education in the country. 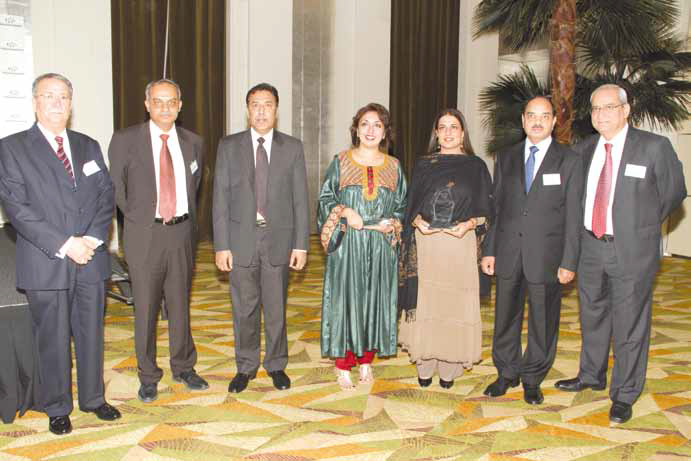 The participants were awarded prizes and certificates by HE Consul General of Pakistan. Deserving families from the large Pakistani community were also extended financial help as part of PPW’s welfare activities. Recently PPW helped to secure the release of a young professional from jail by paying his dues for overstaying and who was later flown back to Pakistan. 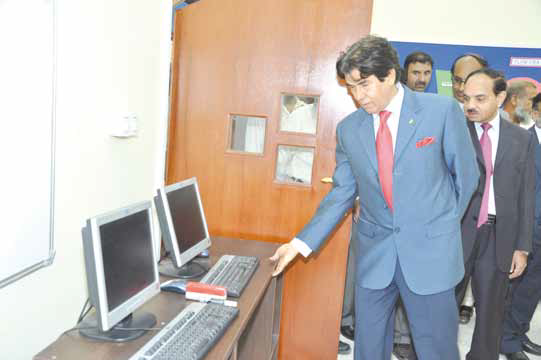 PPW has been actively involved in supporting Pakistani schools in the UAE by providing them computers, air conditioners, classroom furniture and funds for school maintenance and up gradation. In order to enhance the capabilities and teaching skills of the school teachers it has also been instrumental in arranging and organizing training programmes at various community schools. One such programme conducted was a comprehensive open discussion among principals and teachers from various schools, QA advisors, educationists and senior executives of PPW on “Knowledge & Human Development Authority’s Inspection Reports” on the performance of Pakistani schools. The discussion focused on issues raised in the report and to devise strategies in order to achieve possible solutions to bring them up to an acceptable level. PPW also undertook major expansion work in the Pakistani Community Mussaffah School in Abu Dhabi by raising Dh 1,100,000 to complete the project and also provided furniture to the new expanded facility. Apart from the educational support initiatives, the PPW in its endeavor to keep the Pakistani community well informed about happenings and events back home organizes informative sessions / discussion forums with prominent scholars, businessmen and entrepreneurs from the field of education, banking and finance who are specially flown in from Pakistan. The talks are part of a series of events organized by PPW throughout the year in which these outstanding professionals address an august gathering of professionals working and residing in Dubai and other emirates. These discussions / lectures have attracted a lot of interest from community members. 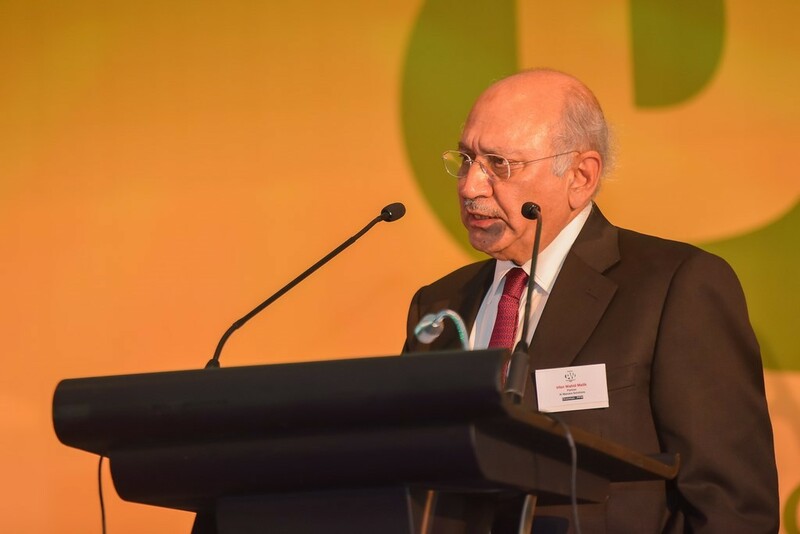 Some of the hot topics organized by PPW were on: Micro-Finance by Dr Amjad Saqib from Lahore, Executive Director and Founder of Akhuwat and Chairman of the Steering Committee of Prime Ministers Interest Free Loan Scheme, “Embracing Disruption” by ex – CEO and President of UBL, Mr Wajahat Hussein, “Pakistan’s Economic Outlook” by Ishrat Husain ex Governor of State Bank of Pakistan, “Making a Difference – MAD”, by Tariq Queirshi, CEO & Founder of MAD and “Inheritance, Wills & Transfer of Assets”, by Amjad Ali Khan, Managing Partner, Afridi & Angel, Dubai, “Benefits To a Community & Country at Large from Social Welfare Work & Corporate Social Responsibility” by Arif Naqvi founder and Group Chief Executive of The Abraaj Group, a private equity investor operating in Africa, Asia, Latin to name a few. PPW also contributed by way of funds over Dh 500,000 to the development of the newly built Pakistani Auditorium at the Pakistani Social Centre with a capacity of 650 persons in view of its deep commitment to the Pakistani community residing in Dubai to have their own place considering Pakistanis previously had no similar venue for large scale community events. PPW also does its best in helping new comers to find jobs in UAE and in the last five years has assisted over 500 job seekers find employment in UAE. The most awaited event of PPW is the annual Eid Milan dinner held each year at five star hotels of Dubai in which there a musical evening in which famous singers render popular numbers, a tete – a – tete with famous television stars, or heart to heart talk with cricketers adding glamour to the event, … and not forgetting the annual picnic arranged in one of the beach resorts of UAE with the idea of letting the community members meet, socialize and strengthen their bonds with each other.